President Trump is loving his trade wars. He hits Iran with sanctions, and European companies as well as American ones obediently cut ties with the country. He goes toe-to-toe with China, and the Chinese stock market falls. He takes a whack at Turkey, and the country descends into a full-blown currency crisis. Through all this, the U.S. economy is humming. “Tariffs are working big time,” Trump tweetedrecently. The president is discovering that the United States has some extraordinary advantages when it comes to economic war. It has the world’s largest economy, to which all other nations want access. It runs a huge trade deficit, meaning that it has more imports — and hence more opportunities to impose tariffs or sanctions — than any other nation. It is wide-open to foreign investment, with the result that all major global companies have large U.S. operations and therefore cannot alienate the White House. It manages the world’s reserve currency, which means it can freeze adversaries out of the international payments system. On top of those structural advantages, Trump has created a cyclical one. Like President Ronald Reagan in the early 1980s, Trump has put other nations on the defensive with his irresponsible budget policy. Aggressive tax cuts and a ballooning deficit stimulate U.S. growth in the short term, insulating Americans from fallout from global trade tensions. At the same time, the stimulus forces the Federal Reserve to raise interest rates, which drives up the value of the dollar; as a result, foreigners with dollar debts get slammed twice over — by higher interest rates on the one hand, by the mismatch between flat local-currency earnings and expensive dollar repayments on the other. Given this lopsided playing field, trade confrontations between the United States and others have wildly asymmetric outcomes. Americans barely notice; Turks hit the wall. Indeed, for reasons that Trump might not find flattering, Turkey presents an extreme example of vulnerability. 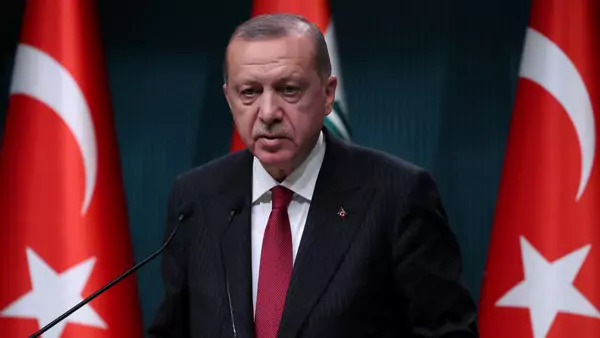 Like Trump, Turkish President Recep Tayyip Erdogan draws his support from conservative voters in his country’s heartland, who have long resented ungodly cosmopolitan elites. Like Trump, Erdogan believes in using the classic populist formula to power his economy: reckless borrowing, a hot real estate market, a willingness to risk inflation. And, also like Trump, Erdogan has elevated his inexperienced son-in-law to a high-level post, but he has gone one better by inflicting this nepotism on Turkey’s key economic ministry. The upshot is that Turkey has foreign-currency debt amounting to more than 50 percent of gross domestic product, a giddy real estate market, 16 percentinflation and no credibility with foreign investors. Even before Trump hit Turkey with sanctions, the economy was primed for a fall. Since Trump began raising the pressure this month, Turkey’s currency has declined by a bit more than 20 percent, bringing this year’s cumulative slide to about 40 percent and raising the specter of broader contagion. History suggests we should be worried: The strong dollar and high interest rates of the early Reagan period triggered a Mexican default that spread panic through Latin America; Thailand’s currency collapse in 1997 sparked a wider conflagration in East Asia, Russia and Brazil. The Russian collapse brought the panic to U.S. markets, triggering the implosion of a major hedge fund and driving the Fed to cut interest rates three times. Today, emerging markets are generally far better managed. Most have flexible exchange rates rather than unrealistic dollar pegs that snap under pressure. Most have fortified themselves by accumulating foreign-currency reserves. And most run more-or-less responsible budget policies. But the big vulnerability lies in dollar borrowing. The long period of extremely low U.S. interest rates following the 2008 financial crisis made cheap dollar-denominated loans irresistible. Yet few countries are as much in hock as Turkey. Among significant emerging economies, South Africa is the next-most-vulnerable, with foreign-currency debt approaching 50 percent of GDP. After that come Mexico and Argentina, with external debt ratios in the high 30s. Sure enough, all three countries have experienced market jitters in the past week. But if the fire spreads, it would be wrong to blame sanctions. The unsustainable borrowing began long before Trump’s election. At worst, Trump provided the match. The real worry about Trump’s trade wars is not so much that they will cause a financial crisis but rather that they will fail in political terms. It is easy for the United States to inflict economic pain on other countries; it is harder to make them change their behavior. Iran is suffering under the impact of Trump’s sanctions, but there are signs that President Hassan Rouhani will respond by drawing closer to the hard-line Revolutionary Guard Corps. China’s stock market is down by more than 15 percent this year, but the trade pressure might only redouble the regime’s determination to barge past the United States in strategic technologies. How will Trump’s sanctions on Turkey affect its actions? The jury is out, but Erdogan is making nice with Russia. Americans might not worry much about the fate of Turkey’s currency, but they should care about the solidity of NATO.